I'm the leader--the guy on the white horse. 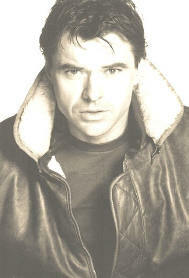 Throughout my life, even when I had very little to show for it, I believed myself to possess personal power, the power of love of my parents, the power of having the right kind of teachers and coaches, the power of friends and faith, the power of believing that no matter the situation, this guy, Robert Urich, could deal with it. Never in my mind was there a doubt that someday I would do something significant-not just in the way of professional accomplishment, but in the way that meant something to other people. As an actor, I had always played heroic guys capable of going the distance, tough guys with compassion. At the top of every movie script you ever get-as soon as your character is introduced, there is a brief character description. Of my character in Spencer: For Hire, it said, "He is capable of going the distance whatever the distance might be. He is handsome.” These were my roles-guys who had what it took, and I certainly thought of myself as a guy in control. Lying in that hospital bed, I was stripped of that. A loss of control is terrifying. The anchor line has been severed and you are at the mercy of the raging gales and the angry seas. You can't be talking about me. I've got cameras and dolly tracks and horses and wranglers and stunt men and assistant directors calling me. There are scripts arriving for my notes. You can't be talking about me. I'm Dan Tanna. I'm Spenser. I'm The Lazarus Man. No. I'm Robert Urich. I've got cancer. 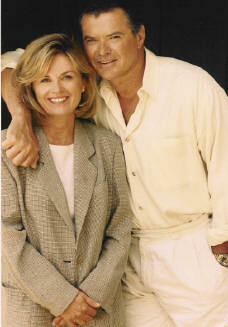 I’m writing to tell you a little about The Robert Urich Foundation for Cancer Research and Patient Care. 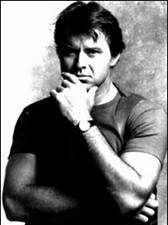 I told someone recently that spearheading The Robert Urich Foundation gives me energy. In that respect, it’s much like every priceless day I spent with Robert. As anyone who knew him will tell you, he lived each of those days to the fullest, putting more into his brief time on this earth than most of us could fit into 100 years. One couldn’t help but be energized in his presence. There’s a vital purpose to the work we’re doing with The Robert Urich Foundation, which supports research and treatment programs nationwide. We started the still existing Urich Fund for the University of Michigan Comprehensive Cancer Center during Robert’s treatment, knowing then that research was so important, and that for rare cancers such as sarcoma, much of that work relies on private funding. I started The California based Robert Urich Foundation so that I would have a more hands on approach to the events that we produce. With each advance made in sarcoma research, I become more hopeful that some day other families won’t have to endure the nightmare ours faced. The Robert Urich Foundation is already at work benefiting scientists, patients and their families. That was our goal from the start, and I have no doubt that Robert would be both tremendously proud of the progress we’ve made, and impatient to do more! That’s where the Robert Urich Memorial Golf Classic & Dinner Gala made such a difference. In 2002, over $400,000 was raised in one weekend for The University of Michigan at these combined events. Although I’ll admit it was tough to see the words “Robert Urich” and “Memorial” together, and to see so many of my husband’s cherished golfing buddies on the course without their friend, I was so proud of the effort and the result. We all felt Robert’s presence throughout the weekend, urging us to keep going. That was the motto Robert lived by: never give up, and never stop looking for the cure. The best tribute we can pay him is to make our next event an even greater success. I hope you will help us.